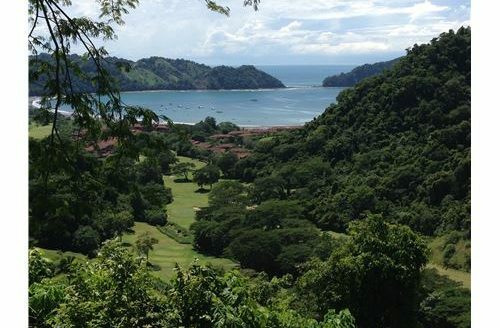 Vista Bahia Residences is one of the fine examples of the real estate options that Los Suenos Resort in Costa Rica has to offer. 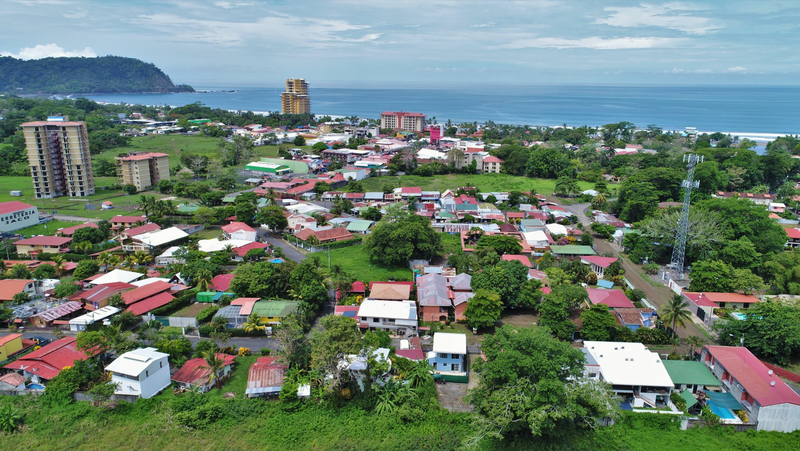 The community of Vista Bahia is located on the north side as you enter Los Suenos and the upscale community is one of the latest additions to the Los Suenos Resort. Vista Bahia Residences has beautiful panoramic views of the entire resort, golf course and Pacific Ocean. Built with a tropical island architecture design Vista Bahia Residences stands out. Vista Bahia Residences offers a 1,450 square foot one bedroom floor plan and two different three bedroom floor plans, one two story town home measuring 2,600 square foot and one apartment measuring 2,750 square foot. The residences of Vista Bahia feature luxurious interior finishes with 8 foot high solid wood paneled doors, 10 foot high ceilings, ceramic tiles and flooring. All floor plans feature spacious island kitchens with Costa Rican hardwood cabinetry and stainless steel appliances. Vista Bahia Residences offer a gorgeous master bathroom. The residences have spacious terraces where you can relax and enjoy the tropical surroundings and views. Most of the garden units have a private infinity edge plunge pool. The one and three bedroom residences at Vista Bahia will provide comfortable tropical living with unrivaled views. The common areas at Vista Bahia include the following features; swimming pools, Jacuzzis, shade palapas, parking, 24 hour security and guarded gated entry. From you Vista Bahia Residence you have access to all the amenities that Los Suenos Resort has to offer. Entrance to the beach club is included, which has direct access to the beach of Herradura. Marina, golf course, casino, spa, stores, coffee shop and several restaurants are all in the Los Suenos Resort and will help to make your stay at Vista Bahia Residences as comfortable as possible. If you are looking for properties for sale in Costa Rica feel free to contact any of the agents in the REMAX Oceanside office.